A 2013 Virginia case, Wright v Wright, 61 Va. App. 432; 737 S.E. 2d 519; 2013 Va. App. LEXIS 53 prompted me to observe that a high earning spouse can increase what he, or she, gets to keep by paying expenses out of marital property and banking the post –separation earnings because in Virginia those earnings are not marital property. Conversely, if you are the lower earning spouse you want prompt filings, quick hearings and, if the stakes justify it, an injunction on expenditure of marital property. See The “Wright” Strategy for Increasing What You Keep in Your Divorce, April 2014. In Maryland, a spouse’s earnings after separation are marital property in the absence of an agreement to the contrary. So there is no advantage to paying expenses with accumulated marital property and banking post-separation earnings in Maryland. 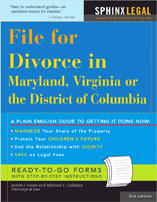 What then is the proper strategy for a high earning spouse in Maryland in a case with a relatively long separation? First, if there is any existing non-marital property, don’t spend that. And remember that from separation to divorce you are earning marital property, increasing the marital proportion of retirement accounts, and adding to the duration of marriage, which is a factor in determining both alimony and marital property distribution. So it pays to settle early because a Separation and Property Settlement Agreement will exclude subsequent earnings from marital property. Getting to settlement usually requires making a good offer. Getting to settlement early may require making a good offer early. This runs directly contrary to many negotiator’s instinct to make a low ball offer and move up in baby steps to wear down the adversary and get a “good deal”. For high earners the good deal achieved by extended negotiations may be at the cost of hundreds of thousands of extra dollars added to the marital estate, and then divided. Sometimes it makes sense to make a really good offer early. What about the Maryland financially dependent spouse? Certainly this spouse wants to settle temporary support and custody, visitation and access early, if possible. But what about the final settlement distributing marital property? It may pay to delay. But the advantage of dividing a bigger pie later must be balanced against the obligation to negotiate in good faith. Also, the additional costs and stress of getting-to-yes later rather than earlier are big negatives. Perhaps a bigger issue is that if the moment for settlement passes, it may not come again.